Todd M. Van Ye, MD is founder and medical director of The Center for Aesthetics and Plastic Surgery. 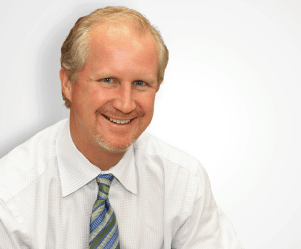 He is a board-certified plastic surgeon and fully trained in general surgery. He has practiced in the Fox Valley since 1997. Dr. Van Ye knows what it’s like to have plastic surgery. When he was a child, a waterskiing accident split open his forehead, requiring plastic surgery to repair. He still remembers how he felt that day – the nervousness, the fear. Knowing what people feel, he takes time to talk his patients through their procedures so they can feel comfortable and relaxed with the entire process. He enjoys building quality relationships with people from all walks of life, and he will find the time to sit down with them and just talk. Plastic surgery perfectly blends his gifts and interests. He has always enjoyed rolling up his sleeves and fixing things. And he’s also artistic and likes doing very precise work. As a cosmetic surgeon, he is dedicated to plastic surgery so he can care for his neighbors in other countries through third-world medical missions. Much of what he does in these countries he can do without an ICU, a CAT scan or an MRI. He just needs his instruments. There are few joys like being able to repair a child’s cleft lip, or seeing a mother being able to kiss her children again after removing her tumor. One of his greatest joys is helping someone in need feel comfortable, whole and attractive again. With plastic and reconstructive surgery Dr. Van Ye can literally operate from head to toe, and he strives for excellence in each and every surgery. When Dr. Van Ye’s not at the office or overseas, he’s home with his wife, Andrea, and their five children. He counts his lively household as one of life’s greatest blessings. He also enjoys biking, snow skiing, waterskiing, barefoot skiing, and playing the guitar – which he has done for over thirty years. "I would highly recommend Dr. Van Ye and his staff for services. The staff is always friendly and most helpful, and I am so grateful and appreciative of Dr. Van Ye's knowledge and attention to details, including his background in working with people of color and our increased risk to scar and keloid. He is genuinely passionate about the work he does and will not do a procedure if it isn't necessary." "I underwent a facelift with Dr. Van Ye and felt it was the best thing I ever did. I feel like a million dollars! Dr. Van Ye is the best doctor in the world! My whole life has changed because of this surgery. I show everyone pictures of me before surgery and no one can believe I am the person in the picture. I would recommend Dr. Van Ye to anyone who asks me. He did a great job."